is a retired United States Marine Corps officer who received the Medal of Honor for valor during the Vietnam War. He was the fourth Marine to receive the medal for valor in Vietnam. He retired from the Marine Corps in 1989 after more than 27 years of service. Barnum is currently serving as Deputy Assistant Secretary of the Navy for Reserve Affairs, a position he has held since July 23, 2001. While in college, Barnum joined the Marine Corps’ Platoon Leaders Class program in November 1958, and attending two summer training sessions, one in 1959 and the other in 1961. In June 1962, he graduated from St. Anselm with a Bachelor of Arts degree in Economics. Upon graduation, he was commissioned a Marine Reserve second lieutenant. Second Lieutenant Barnum was ordered to Marine Corps Schools, Quantico, Virginia, where he attended The Basic School until December 1962, when he began the Artillery Officers Orientation Course, graduating in February 1963. He was then ordered overseas and joined Battery A, 1st Battalion, 12th Marines, 3rd Marine Division on Okinawa, Japan. He served first as a forward observer and then as the Battalion’s liaison officer. In July 1964, he accepted appointment in the regular Marine Corps. Prior to completing his Okinawa tour, he also served as the battalion liaison officer. He was promoted to first lieutenant in December 1964. In April 1964, 1stLt Barnum was transferred to the 2nd Marine Aircraft Wing and assigned as the Wing’s Career Advisory and Personal Affairs Officer. During Exercise Steel Pike, a landing exercise in Spain, he served as the Wing’s Security Officer. Upon returning to the United States from Spain, he was assigned as Officer in Charge, 2nd Marine Aircraft Wing Classified Files. Detached in March 1965, he then served as Guard Officer, Marine Barracks, U.S. Naval Base, Pearl Harbor, Oahu, Hawaii. From December 1965 until February 1966, 1stLt Barnum served on temporary duty in Vietnam as an artillery forward observer with Company H, 2nd Battalion, 9th Marines, 3rd Marine Division. Lieutenant Barnum’s would be awarded the Medal of Honor for his actions on December 18, 1965 — for "conspicuous gallantry and intrepidity at the risk of his life above and beyond the call of duty". He was promoted to captain in June 1966, after he returned to Hawaii. From March until August 1967, Capt Barnum attended the Associate Field Artillery Officers Career Course, Fort Still, Oklahoma. Transferred to Headquarters Marine Corps, he served as Aide-de-Camp for LtGen Lewis W. Walt (then the Assistant Chief of Staff for Manpower and subsequently the Assistant Commandant from September 1967 until October 1968). In October 1968, Capt Barnum returned to Vietnam where he served as Commanding Officer of Battery E, 2nd Battalion, 12th Marines, 3rd Marine Division With the 3rd Marine Division redeployment from Vietnam to Okinawa in September 1969, he remained with that unit until the following October. For his service in this capacity, he was awarded the Bronze Star with Combat “V” and Gold Star in lieu of a second award, the Navy Achievement Medal with Combat “V”, the Purple Heart for wounds received, the Combat Action Ribbon, and the Vietnamese Gallantry Cross with Silver Star. Upon his return from Okinawa, Capt Barnum was assigned as a weapons instructor at The Basic School, Marine Corps Development and Education Command, Quantico, where he served until August 1970 at which time he entered the Amphibious Warfare School, graduating in February 1972. 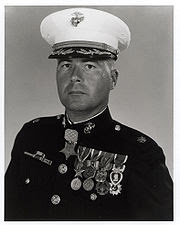 He served as Operations Officer, 2nd Battalion, 10th Marines, Camp Lejeune beginning in March 1972, and was promoted to major, May 1972, to lieutenant colonel in December 1978, and to colonel in February 1984. In August, 1989, Colonel Barnum retired from the Marine Corps after more than 27 years of service. FIRST LIEUTENANT HARVEY C. BARNUM, JR.
For conspicuous gallantry and intrepidity at the risk of his life above and beyond the call of duty as Forward Observer for Artillery, while attached to Company H, Second Battalion, Ninth Marines, Third Marine Division (Reinforced), in action against communist forces at Ky Phu in Quang Tin Province, Republic of Vietnam, on 18 December 1965. When the company was suddenly pinned down by a hail of extremely accurate enemy fire and was quickly separated from the remainder of the battalion by over five hundred meters of open and fire-swept ground, and casualties mounted rapidly, Lieutenant Barnum quickly made a hazardous reconnaissance of the area seeking targets for his artillery. Finding the rifle company commander mortally wounded and the radio operator killed, he, with complete disregard for his own safety, gave aid to the dying commander, then removed the radio from the dead operator and strapped it to himself. He immediately assumed command of the rifle company, and moving at once into the midst of the heavy fire, rallying and giving encouragement to all units, reorganized them to replace the loss of key personnel and led their attack on enemy positions from which deadly fire continued to come. His sound and swift decisions and his obvious calm served to stabilize the badly decimated units and his gallant example as he stood exposed repeatedly to point out targets served as an inspiration to all. Provided with two armed helicopters, he moved fearlessly through enemy fire to control the air attack against the firmly entrenched enemy while skillfully directing one platoon in a successful counterattack in the key enemy positions. Having thus cleared a small area, he requested and directed the landing of two transport helicopters for the evacuation of the dead and wounded. He then assisted in the mopping up and final seizure of the battalion's objective. His gallant initiative and heroic conduct reflected great credit upon himself and were in keeping with the highest traditions of the Marine Corps and United States Naval Service. Help me thank the valiant warriors. If you know of warrior who is deserving of our thanks, and you would like to see them honored here. Fire me an email with the particulars and any commendations they recieved, and I'll do the rest. He/She must have served in the military service of the United States, United Kingdom, Australia or Canada. 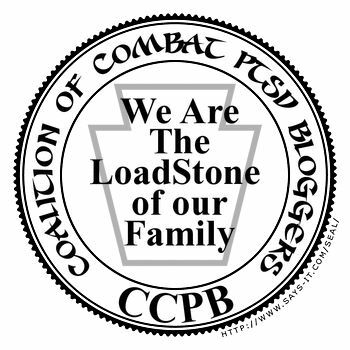 Served as a combat veteran. Many people have died for me. The one I thank the most having thanked them all...Christ. It's nice you do this... it's good to remember and be thankful for those who serve so faithfully and heroicly. Wow! What bravery and accomplishments for someone so young. I really enjoy reading them too. Yes, THANK YOU Kurt for honoring them and sharing the information! Thank you Colonel Barnum, for your service to our Great Nation. My family and I appreciate everything you've done. LOL... not the shirt thing..come for a ride!.. I nominate Krippled Warrior. :-) He gets my thanks!!!!!! !